Hi... this is the first Christmas Card related to the Christmas contest.... If you missed the explanation of this game, please refer to December 1st post in the blog and in Facebook (Scrapper Myra). The contest is happening at the Facebook page but there are several ways to participate and you can win great scrapbooking goodies. 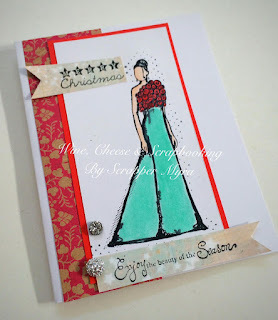 For this card I stamped the beautiful Sparklie girl and colored with copics, watercolor pencils and gelatos. Sentiments were stamped in design paper and cut to be placed on top and bottom. I combined with cardstock, design paper and some sparkling gems. Hope you like it. Leave a comment for a chance to win in the Christmas contest... and also 'cause I'll be sharing in next Unity Stamp Co blog hop and you can also win with them. It's great, isn't it? Wow...it's so elegant,gorgeous,amazing! 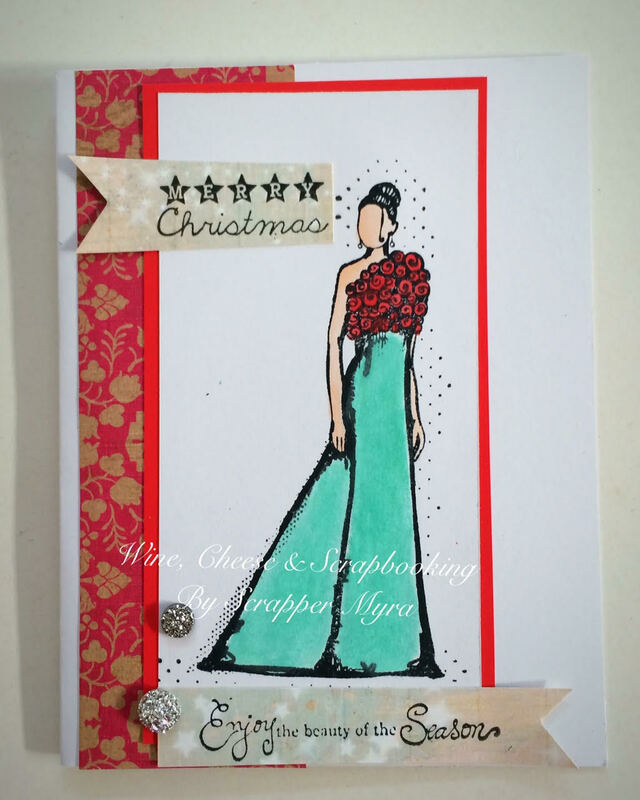 Lovely colors,great sentiment and adorable Christmas card! Una trajera de navidad única y elegante. Me encanta. Quiero esa chica elegante lista para las fiestas de navidad. Esta tarjeta me encanta. Beautiful, love your coloring & layout! lovely layout and thats a pretty cool stamp!